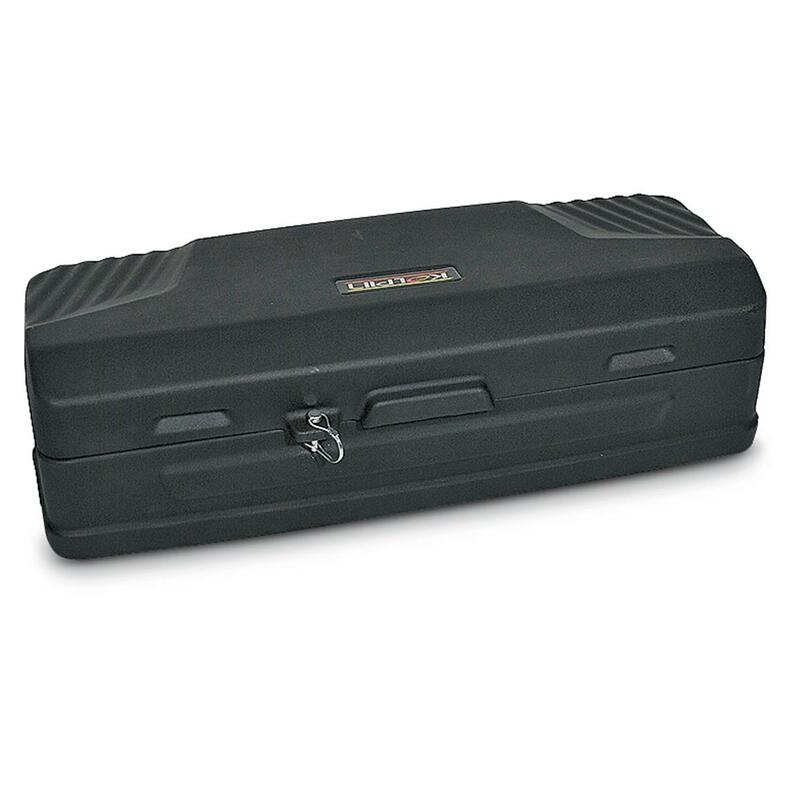 Keep your essentials safe on the roughest trail with a Kolpin Scout ATV Storage Box. Keep your tow straps, a first-aid kit, tools and more easily at hand. 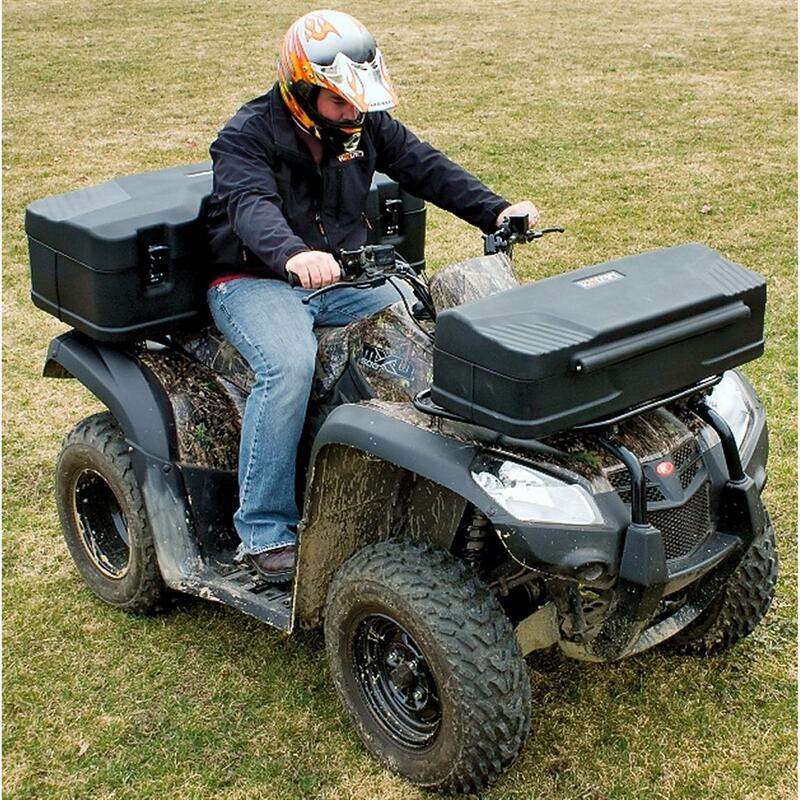 Kolpin®'s Scout Box installs easily in the front or back of your ATV and holds almost 2.5 cubic feet of gear securely inside a weather-resistant case. Rotomolded construction with snap closure and rear hinged lid. Won't warp or dent even under extreme temperatures. Command the trail and order today! Accessible storage: 2.5 cu. ft. Interior dimensions: 34" x 14" x 9" h.
Kolpin Scout ATV Storage Box is rated 4.5 out of 5 by 18. Rated 4 out of 5 by Nick from Nice and simple , low profile Nice box. Pretty easy to install except the length of U bolts are too long for my installation. I cut them off and capped.Make sure you use the supplied latch bolt/lock as the top is so light that it will fly open while riding LOL! Rated 5 out of 5 by ATV family from I purchased 2 of these ATV boxes. They were easy to mount, very strong and weatherproof. I am very happy with the price, size and durability. Rated 3 out of 5 by ray h from Priced the lowest; cheaply made.